Key creditor of Ukraine the International Monetary Fund may decide to allocate the country the third and fourth tranches of a stand-by loan, amounting to $2.7 billion dollars, in early 2015, the head of the External Relations Department of the IMF Jerry Rice said during a press conference in Washington on Thursday. Rice said an IMF mission would travel to Ukraine in November, when the new government is to be formed. The mission will discuss the current situation in the Ukrainian economy, evaluate the macro situation, and submit a report on the visit to the IMF Board of Directors. "Most likely the results of the mission’s work will be presented to the Board of Directors of the IMF at the end of this year or at the beginning of next year," Rice said, noting that a decision on the allocation of the tranches would be taken at the same time. Ukrainian Finance Minister Oleksandr Shlapak said earlier that Ukraine was likely to receive the third tranche of the IMF in early 2015, as the decision to grant funds would be taken at a meeting of the Board of Directors scheduled to be held at the end of December 2014. As UNIAN reported earlier, the IMF approved a two-year program of cooperation with Ukraine at the end of April this year, worth a total of $17 billion. Ukraine received the first tranche of $3.2 billion in early May. The funds were used to replenish the reserves of the National Bank of Ukraine. 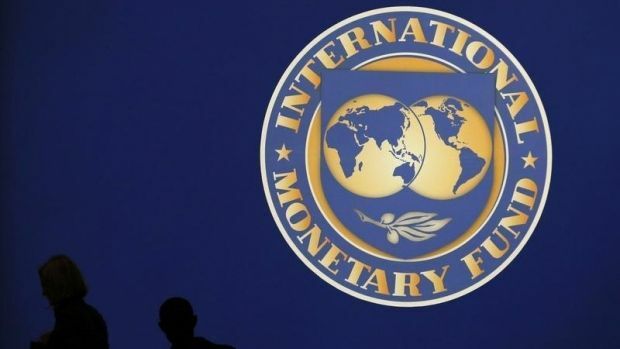 In late August, the IMF Board of Directors during a meeting approved a report on the implementation of the program of economic reforms in Ukraine, and decided to allocate Kyiv the second tranche of a credit stand-by program, amounting to $1.39 billion, without revising the total amount of funding. In September, the IMF decided to delay the allocation to Ukraine of the third and fourth tranches of the credit.